In 2009, Christina Aguilera had a disastrous comeback with her 4th studio album “Bionic”. The album not only did terrible numbers and failed to produce even one hit single, but that year seemed to be one bad thing after another in her personal life as well. Divorce, public intoxication, flubbing the National Anthem, nearly falling off stage at the Grammy’s. Seemed like she couldn’t do anything without a big dark cloud over her head. Her feature film debut “Burlesque” was one shining light of that year, producing decent box office numbers and helping her grab a Golden Globe nomination for songwriting. Than came NBC’s “The Voice”, a reality singing competition that helped to get her back into the good graces of the public. That show was a success, and so is it’s current second season. The perfect time to consider where Aguilera went wrong with “Bionic” and give some advice of where she can go from here. “Bionic” was not a terrible album, just very un-even. Where on certain tracks you can tell she was using her artistic and creative mind in the approach, other tracks felt like they were specifically catering to listeners who are okay with auto-tuned vocals and elementary lyricism. So the albums failure is a result of two things she should have known better not to do. Don’t hide or try to mask her voice, her main asset in the game. And don’t try to be like everybody else, which she spent most of her career not doing. It seems obvious that label pressures forced Aguilera to cave, but knowing that she should definitely go into her next album doing exactly what she wants and sticking to her guns. I hear that Aguilera has been taking vocal lessons, which is a GREAT idea. She’s a notorious over-singer and her screeches and straining will only ruin her voice in time. So since she’s fine tuning her instrument the direction she goes this time should really showcase the voice and the training it’s been going through. And you might think it’s crazy, but Disco is the perfect lane. Crazy only because Disco doesn’t seem like a profitable genre for her right now, but it could really work. I’ve actually had this thought in my head since before “Bionic” was released. Just listening to Donna Summer and some of the Classic Disco sounds, the genre is really made for artists like Christina. Disco is totally suited for huge voices with various chances for those long power belts, and the structure of the song (with their ballad like intro’s transitioning into bursts of dance beats) is just great for all around good singers. And since it is an uptempo genre, it’s a chance for Aguilera to show off her voice, but give mainstream audiences something to dance to at the same time. Toro Y Moi's Indie Disco Sound would be a good look for Xtina. Going 100% Disco might be too alarming for her handlers, so maybe Christina can hook up with some current more underground producers who pay tribute to the Disco sound in the their music, adding a few “now” elements to that Disco base it could be the change the industry is in dire need of right now. Toro Y Moi is one Indie act that comes to mind, his “Underneath The Pine” album from last year is steeped in 70’s Funk and Disco. I could totally hear Aguilera belting her life away over “Still Sound“, “New Beat” or even the mellowed out “Elise“. Even though I hear Toro has moved on from that sound already, I’m sure he’d be excited to recreate some of his Indie skewed Disco sounds for a mainstream Icon like Christina. If that’s too Indie for her, StarGate, my favorite producers of the past few years would be another ideal choice. They are very diverse in what they offer, but their Dance/House tracks like “Only Girl (In The World)” by Rihanna and “Closer” by Ne-Yo are some of their best. And their production for Mariah Carey‘s “I’m That Chick“has a real Disco throwback sound that is exactly what I’m talking about for Miss Xtina. Another great option is Swizz Beatz. Which, yeah… that also probably sounds crazy, but he’s done some stuff currently, with his wife Alicia Keys (who has written for Aguilera before) at the lyrical helm, that is totally up that Disco/House alley. Two tracks from Jennifer Hudson‘s latest album, “Everybody Needs Love” and “Don’t Look Down“, seem ripped right off of 1978 radio and suit her voice well, which is perfect because Christina has a similar power voice like her. 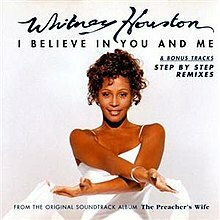 Swizz and Alicia also produced the late great Whitney Houston‘s Disco/Funk homage single “Million Dollar Bill“, which I could see Christina taking to a whole different level vocally. Christina could even work a little harder and dig up some production Legends that were responsible for some of the biggest Disco Classics. For instance “Don’t Leave Me This Way” by Thelma Houston courtesy of Kenneth Gamble & Leon Huff, the entire “Saturday Night Fever” album overseen by the Bee Gees, all of Donna Summer’s 70’s Anthems produced by Giorgio Moroder, and the fun and funky Chic sound along with hits from Diana Ross by Nile Rodgers. Not only would they give her an authentic disco sound, but I’m sure knowing her voice all these producers would love to work with her. So bottom line, Disco is a relic from a better time… but it’s Danceable and very catchy, and most importantly a great showcase for Christina’s voice. Radio these days is getting hits primarily from the really catchy (and generally simple and repetitive) hooks, with verses that are great response and call back tracks. Disco could provide that, but in a smarter way. And even if her going the Disco route doesn’t smash on Pop radio, at least she will get more credibility (“Bionic” did not) for going a more classic route. Look how her “Back to Basics” album turned out, it didn’t have any huge hit singles but most listeners respected her for sticking to her guns and paying homage to the music that came before her. Also with Disco, if Pop radio isn’t feeling it, she’ll definitely get some Club smashes with all the different remixes. It’s just gone too far with the Ke$ha’s and the Britney’s taking the ultimate lazy route with their music and getting worldwide #1 hits. Christina could help usher in a new breed of actual music, with instrumentation and full voices. 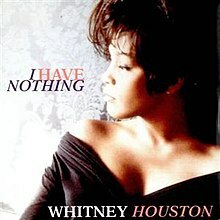 I have been going back and forth since Saturday about whether I should post something about Whitney Houston‘s death. Honestly I was really shocked, even though we knew she was going through problems I just had this idea that Whitney would be one of those Diva’s to grow old. To have her life end at just 48 years old is sad, it’s just a testament that she couldn’t get it together. And even with her battle with drugs, her death really saddened me because she was a huge icon of my era. I grew up with Whitney, and every body in my generation has much love and adoration for her as a person and her flawless voice (before it started deteriorating of course). 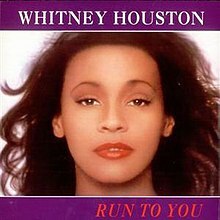 That said, I didn’t know what to write about her… but it’s Valentine’s Day, and Whitney gave us some very classic Love songs. So here are my Top 15 Favorite Love Songs from Whitney. 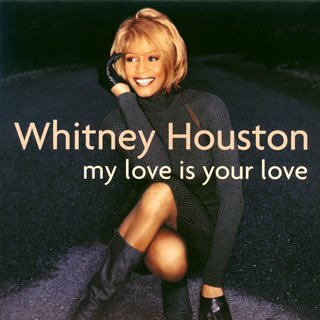 Read this, make a playlist, and celebrate both Love and Loss with Whitney today. Almost didn’t include this because, well, she’s the “other woman” in this classic early hit. However, the lyrics could easily be tuned out given the beautiful arrangement. It shouldn’t sour any romantic mood for couples, and might end up being the anthem for the lonely mistresses today. This song, from 1987’s “Whitney”, may not be about the love two people feel for one another. But the upbeat club single does bring to light the importance of love “There’s an answer in your heart, so let your light shine on my dear, and love will save the day,Love will save the day”. So if you’ve had a pretty crappy 2012 so far, forget all of that and appreciate love with Cupid for Valentine’s. The Swizz Beatz produced lead single from Houston’s final 2009 album “I Look To You” is an upbeat funky track about the guy that makes her feel “like a million dollar bill”. A break from the slow ballads, but with the great sentiment of undying love and adoration from your spouse. Ladies, this is the epic ballad you MUST sing to your man today. In this classic, Whitney talks about her life long quest to find love and the man that made it all worth it. A beautiful song, powerful lyrics and an epic vocal. 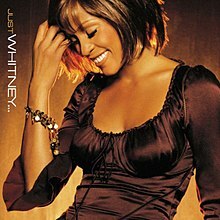 A remake of a song by the Four Tops, Whitney took this for “The Preachers Wife” soundtrack and totally made it her own. A great song for those couples with the faith that their union will out last all. “maybe i’m a fool, to feel the way i do, but i will play the fool forever, just to be with you forever”. 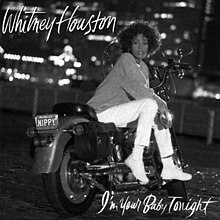 This Wyclef Jean produced, reggae-inspired anthem is one of Whitney’s all time best. Though it seems clear she was singing it to her daughter, the message of “you and me against the world” is just as meaningful if you sing it to your spouse, or anyone you truly will love to the end of time. Odd choice given the lyrics, it’s not really about being in love. These two lovers have grown apart, but the feelings in their hearts remain the same. 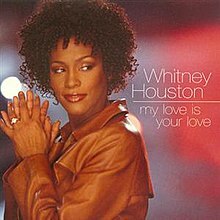 Still a perfect Valentine’s Day anthem just because of the hook and Whitney’s flawless vocal performance here. One last thing, I feel really compelled to post this video of Whitney from 1985. This was her debut performance before she became the Legend she is. It’s just an AMAZING vocal performance OF “Home” from “The Wiz”, and a true testament that this woman was blessed with one of the most angelic voices ever. She may be gone, but her music will definitely live on for generations. Enjoy the clip, and Enjoy Valentine’s Day!! Love the one you’re with.